There is a growing interest in investing in innovative business in emerging countries. However there are a few obstacles. For instance, legal, taxation and distance barriers are far too high to take the risk. In accordance to our research, simpler contracts, easy to understand taxation and local co-investors would be required to break down those barriers. Another obstacle is that there is still too little exchange among investors that not only gives investors better insights into successful investment strategies, also entrepreneurs would largely benefit when working with more experienced investors. 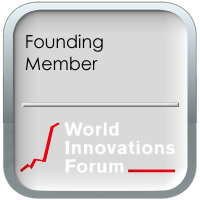 WIF – members are coordinating a more regular exchange among investors and help gather insights in the workings of Angel Investors across the world. OBJECTIVE – Making Angel Investors and VCs more successful, which has a direct influence on the success of the entrepreneurs and may attract even more investors. We see three major obstacles when investing internationally: Law, strategies and remote investment oversight. Over time we should be able to work with policy makers around the globe to homogenize investment laws. But in the short term, we can work on standardized contracts that work in a larger variety of countries. That way we can at least ease to invest in those countries. The way people invest ranges from “spending” some money and hoping it will work out – all the way to having firm investment strategies, well developed due diligence processes and a clearly defined idea how to support the young entrepreneurs from start to IPO. We will need to help investors matching other investors with like minded investment strategies and effort. One suggestion is that foreign investors should always connect with local investors as lead investors and nurture the companies together – with a local connection. As far as we can see, we need a small group of investors who are interested in this topic and build a leadership team. 1) Helping organize global online meetings, so that investors get a broad perspective of the global investment scene. 2) Organizing and moderating investor meet-ups locally, stimulating a deeper exchange among investors. 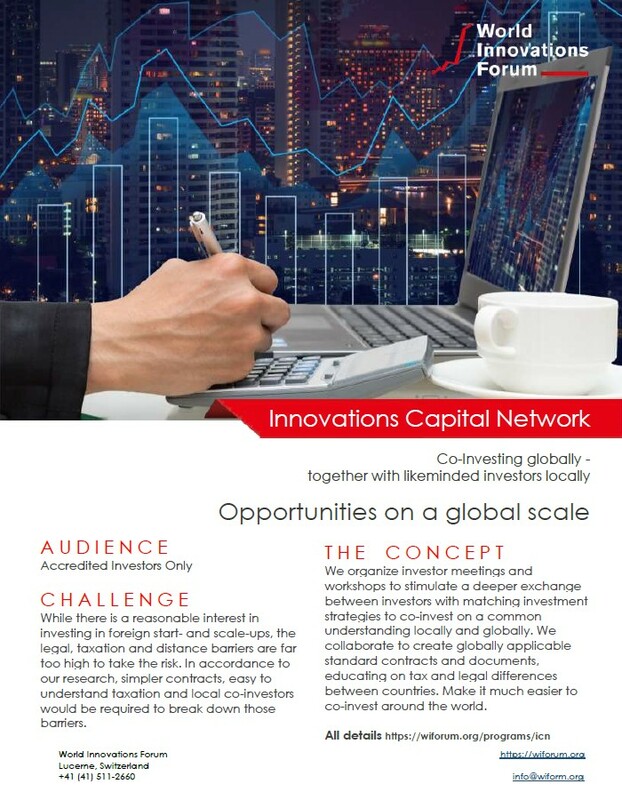 3) Aggregating needs, challenges, ideas, suggestions, success stories from all investor members from the World Innovations Ecosystem to redistribute the findings to all members. 4) Organizing webinars with investors who have a very high success rate and share their insights. 5) Creating additional programs and ideas that work towards the initiative objectives.